Now in paperback 20% off. Edited by Michael C. Appleby, World Society for the Protection of Animals (WSPA), UK, Daniel M. Weary, The University of British Columbia, Cananda and Peter Sandøe, University of Copenhagen, Denmark. Special issue of Animal Welfare (Volume 19, issue 2), Universities Federation for Animal Welfare, UK. D. Fraser et al., 2009. The Food and Agriculture Organization of the United Nations (FAO), Rome. Wiley-Blackwell, Oxford, 324 pages.Summary: Understanding Animal Welfare: The Science in its Cultural Context takes a completely fresh and thought-provoking approach. It is essential reading for anyone interested, studying or currently working in the fascinating field of animal welfare science. David Fraser places modern-day welfare issues within their historical framework by tracing the evolving ideas that led to current thinking. He also highlights some intriguing issues relating to the contradiction inherent in the term ‘animal welfare science’ and the practical problem of how to assess emotional states in animals. J. Rushen, A.M. de Passillé, M.A.G. von Keyserlingk, D.M. Weary, 2008. FAO Readings in Ethics No. 2, United Nations Food and Agriculture Organization, Rome, 32 pages. R. Preece and D. Fraser (editors), 2002. Edwin Mellen Press, Lampeter, 468 pages. Fraser, D. 2013. Ruth Harrison – a tribute. Pages 17-20 in Animal Machines: The New Factory Farming Industry (M. S. Dawkins, editor). CABI, Oxford. Fraser, D. 2012. Animal ethics and food production in the 21st century. Pages 190-213 in D. Kaplan (editor) Philosophy of Food. University of California Press, Berkeley. Fraser, D. 2012. Understanding animal welfare from a research scientist’s perspective. Pages 91-98 in W.G. Pond, F.W. Bazer and B.E. Rollin (editors), Animal Welfare in Animal Agriculture: Husbandry, Stewardship and Sustainability in Animal Production. CRC Press, Boca Raton. Fraser, D. and Nicol, C.J. 2011. Preference and motivation research. Pages 183-199 in M.C. Appleby, J.A. Mench, I.A.S. Olsson and B.O. 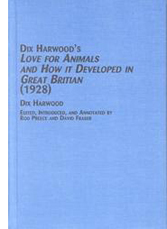 Hughes (editors), Animal Welfare, Second Edition. CAB International, Wallingford UK. In: Philosophy of Food, D. Kaplan (editor), University of California Press, in press. In: Animal Welfare, M.C. Appleby (editor), Second Edition, CAB International, Wallingford UK, in press. In: Animal Welfare in Animal Agriculture: Husbandry and Stewardship in Animal Production, W.G. Pond, F.W. Bazer and B.E. Rollin (editors), Taylor & Francis. Fraser, D. 2010. Animal welfare. Pages 47-49 in M. Bekoff (editor), Encyclopedia of Animal Rights and Animal Welfare, Second Edition. Greenwood Press, Santa Barbara, USA. Fraser, D. , Weary, D.M. and von Keyserlingk, M.A.G. 2010. Two interdisciplinary courses on the use and welfare of animals. Pages 341-365 in M. Demello (editor), Teaching the Animal: Human Animal Studies Across the Disciplines. Lantern Books, Herndon, USA. Weary, D.M. and Fraser, D. 2009. Social and reproductive behaviour. Pages 73-84 in P. Jensen (editor), The Ethology of Domestic Animals, 2nd Edition. CAB International, Wallingford, UK. Fraser, D. 2008. Biology, theology and animal ethics: Exploring the links. Pages 23-36 in K. Muller and N. Sachser (editors), Theology Meets Biology: Anthropological Perspectives on Animals and Human Being. Pustet Verlag, Regensburg. Fraser, D. 2008. The welfare of pigs: a social, ethical and scientific issue. Pages 289-302 in L. Faucitano and A. Schaefer (editors), The Welfare of Pigs. Wageningen Academic Publishers and Editions Quae, Wageningen. Fraser, D. 2008. Animal welfare and the intensification of animal production. Pages 167-189 in P.B. Thompson (editor), The Ethics of Intensification. Springer Verlag, Heidelberg, Germany. Weary, D.M. and Fraser, D. 2008. Social and reproductive behaviour. In P. Jensen (editor), The Ethology of Domestic Animals: an Introductory Text, 2nd Edition. CAB International, Wallingford, UK. Weary, D.M. and Fraser, D. 2008. Identifying pain in farm animals. Pages 157-171 in D.J. Mellor, P.M. Thornber, A.C.D. Bayvel and S. Kahn (editors), Scientific Assessment and Management of Animal Pain. 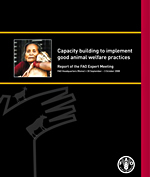 OIE Technical Series, Volume 10, World Organization for Animal Health, Paris, France. Fraser, D. 2006. Caring for farm animals: pastoralist ideals in an industrialized world. Pages 547-555 in P. Waldau and K. Patton (editors), A Communion of Subjects: Animals in Religion, Science and Ethics. Columbia University Press, New York. Edwards, S.A., English, P.R. and Fraser, D. 2006. Animal Welfare. Pages 1065-1073 in B.E. Straw, J.J. Zimmerman, S. D’Allaire and D.J. Taylor (editors), Diseases of Swine, 9th Edition. Blackwell Publishing, Oxford, UK. Fraser, D. and Weary, D.M. 2005. Applied animal behavior and animal welfare. Pages 345-366 in J.J. Bolhuis and L.-A. Giraldeau (editors), The Behavior of Animals: Mechanisms, Function and Evolution. Blackwell Scientific, Oxford, UK. Weary D.M. and Fraser, D. 2004. Rethinking painful management procedures. Pages 325-338 in G.J. Benson and B.E. Rollins (editors), The Well-Being of Farm Animals: Challenges and Solutions. Iowa State Press, Ames. Fraser, D. and Weary, D.M. 2003. Quality of life for farm animals: linking science, ethics and animal welfare. Pages 39-60 in G.J. Benson and B.E. Rollins (editors), The Well-being of Farm Animals: Challenges and Solutions. Blackwell Publishing, Oxford, UK. Lund, V. and Weary, D.M. 2003. Understanding animal behaviour and its use in organic animal husbandry. Pages 95-110 in M. Vaarst, S. Roderick, V. Lund and W. Lockeretz (editors), Animal Health and Welfare in Organic Agriculture. CABI, Wallingford, UK. Weary, D.M. and Fraser, D. 2002. Social and reproductive behaviour. Pages 65-77 in P. Jensen (editor), The Ethology of Domestic Animals: an Introductory Text. CAB International, Wallingford, UK. Knierim, U., Carter, C.S., Fraser, D., Gartner, K., Lutgendorf, S.K. Mineka, S., Panksepp, J. and Sachser, N. 2001. Good welfare: improving quality of life. Pages 79-100 in D.M. Broom (editor), Coping with Challenge: Welfare in Animals Including Humans. Dahlem Workshop Report 87, Dahlem University Press, Berlin, Germany. Fraser, D. 2001. Foreword. Pages iii-v in R. Preece (editor), An Essay on Humanity to Animals (1798) by Thomas Young. Edwin Mellen Press, Lewiston, USA. Fraser, D., Mench, J. and Millman, S. 2001. Farm animals and their welfare in 2000. Pages 87-99 in D.J. Salem and A.N. Rowan (editors), The State of the Animals 2001. Humane Society Press, Washington, USA. Fraser, D. 1998. Animal Welfare. Pages 87-99 in M. Bekoff and C.A. Meaney (editors), Encyclopedia of Animal Rights and Animal Welfare. Greenwood Press, Westport, USA. Fraser, D. 1998. Preference and motivation testing. Pages 278-280 in M. Bekoff and C.A. Meaney (editors), Encyclopedia of Animal Rights and Animal Welfare. Greenwood Press, Westport, USA. Fraser, D. 1998. Animal ethics and the “new perception” of animal agriculture. Pages 240-247 in R. Blair, R. Rajamahendran, M. Mohan, L.S. Stephens and M.Y. Yang (editors), New Directions in Animal Production Systems. Canadian Society of Animal Science, Vancouver, Canada. Fraser, D., Milligan, B.N., Pajor, E.A., Phillips, P.A., Taylor, A.A. and Weary, D.M. 1997. Behavioural perspectives on weaning in domestic pigs. Pages 121-140 in J. Wiseman, M.A. Varley and J.P. Chadwick (editors), Progress in Pig Science. Nottingham University Press, Nottingham , UK. Fraser, D. and Matthews, L.R. 1997. Preference and motivation testing. Pages 159-173 in M.C. Appleby and B.O. Hughes (editors), Animal Welfare. CAB International, Wallingford, UK. Duncan, I.J.H. and Fraser, D. 1997. Understanding animal welfare. Pages 19-31 in M.C. Appleby and B.O. Hughes (editors), Animal Welfare. CAB International, Wallingford, UK. Robert, S., Weary, D.M. and Gonyou, H. 1997. Segregated early weaning and the welfare of piglets. Pages 133-140 in S. Robert (editor), Farm Animal Welfare in Canada. Agriculture and Agri-Food Canada, Lennoxville, Canada.